Amazon Prime has been getting better and better for TV and film lovers as it takes on the ever-growing list of streaming rivals, but the service just stuck the knife into Netflix in a big way with a massive new feature - offline viewing. 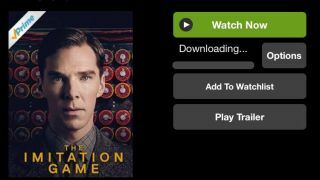 That means you can store video locally on your device and watch (in a time-limited window) even when you don't have a connection - and given that Prime Video has only worked with a Wi-Fi connection previously, that's a big deal indeed. Plus, offline viewing (often called offline caching) is something that the service's biggest rival, Netflix, doesn't offer. We've spent some time with offline viewing and pulled together a straightforward "how to" as well as some of our initial thoughts. We went for the iOS version - although it is available for Android as well. The update is relatively small, and once it's installed you'll get a different option screen when looking at an Amazon Prime Show. The film library is also available for offline viewing - most of the library seems to be available right now. It's all as intuitive as you'd expect, and the service itself is clearly a massive boon for the entire service. For those travelling, this functionality is a game-changer, converting an Amazon subscription from a relatively static offering - best taken advantage of at home - to a genuinely useful service.